Mary grew up in Toronto after immigrating with her family at age 8 from Taiwan. An English and Theater grad, she enjoyed dance, martial arts and cycling. Mary eloped as a young actor and bride to New York and enjoyed a dozen years acting in Off-Broadway and regional theatre, before finding Yoga when she became a new Mom. 9/11 and events right after led her to choose Yoga as a life path for healing work. 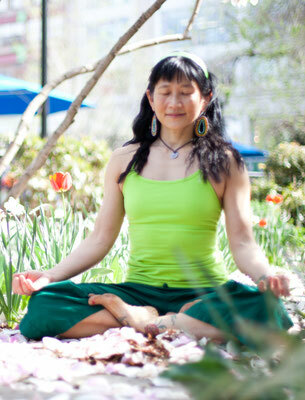 Mary is 500 Hour E-RYT, and AcroYoga, YogaSlacker, and Thai Yoga certified. 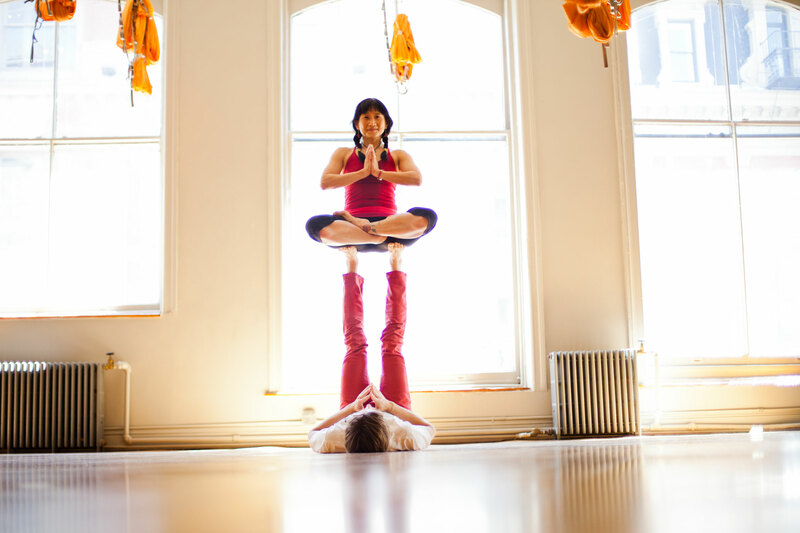 She has taught Yoga full-time since 2002, and AcroYoga since 2008. She thanks all her wonderful teachers, including ISHTA papa Al Finger, AcroYoga parents Jason Nemer and Jenny Sauer-Klein, Thai mama Jenn Yarro, and YogaSlacker parents Jason and Chelsey Magness. ISHTA means "Integrated Science of Hatha, Tantra & Ayurveda" and also means "Individual" in Sanskrit. Whether in classes, workshops, immersions, retreats or trainings, and whether with AcroYoga, Vinyasa, Restorative, Thai, Yin, or Yoga Nidra Meditation, Mary liberates the individual's inner alignment, joy and grace. Mary regularly leads AcroYoga & Thai Yoga workshops and "First Friday" Acro Jams at Om Factory.